Big Time Gaming is an Australian software company based in Sidney. The company is run by three very experienced people who have been in the casino industry for more than 20 years. The CEO is Nik Robinson (Founder of New Tech Media and Open Bet) and CTO is Huw McIntosh (formerly New Tech Media and Open Bet). Ian Schmidt is the Creative Director and joined Big Time gaming after working for Rock Star Games. Over the years, Big Time Gaming has entered into a number of collaborations. Among them are iGaming companies like Open Bet, Microgaming, Quickfire and Core Gaming. Core Gaming was responsible for allowing Big Time Gaming to convert its slots to HTML5. This made all the slots of the famous Australian games manufacturer for smart phones and tablets compatible. BTG entered into another deal in 2018 with Blueprint Gaming from the Gauselmann Group. The background is the MegaWays™ technology invented by Big Time Gaming, which is now also being installed in new Blue Print Gaming slots. 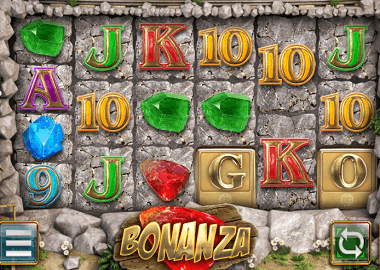 The technology (you can play for example in Dragon Born slot) allows up to 117,649 ways to win! With the MegaWays™ technology Big Time Gaming achieved the final big breakthrough. With the Big Time Gaming Extra Chilli slot, LeoVegas Casino had the most successful game launch of all time. 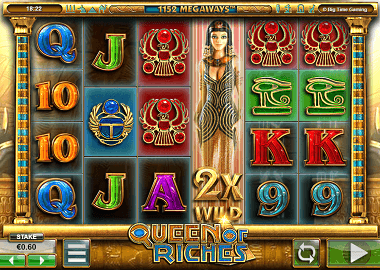 Also this slot runs with the MegaWays™ and Mega symbols which creates the huge number of ways to win. MegaWays™ is a reel modifier system which causes a different number of symbols to land on the reels with each new spin. This will allow you to play a completely different game. Every time you spin the reels you gonna find new winning opportunities. 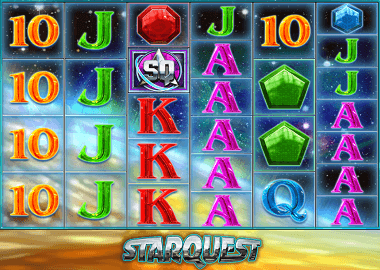 The most successful games of Big Time Gaming are the White Rabbit Slot or the Temple Quest Slot. 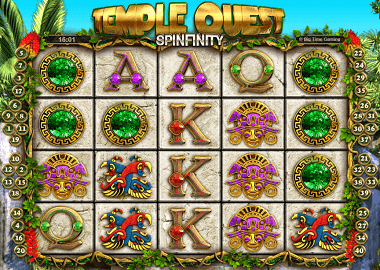 The White Rabbit slot has the MegaWays™ technology and at the Temple Quest you play with the so called Mega symbols. 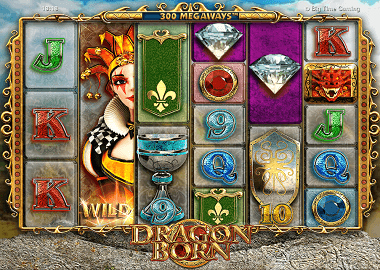 Another Slot with MegaWays™ is the Dragon Born Slot or the latest title Bonanza. Of course, today all Big Time Gaming slots are compatible on all devices. The slots developed with the latest programming language HTML5, you can play on all iOS and Android operated smart phones or tablets. The games have very short loading times and require very little processor resources from the devices. This makes the games perfectly designed for mobile players. So far, the following 24 slots have been released by Big Time Gaming: Bonanza, Book of Gods, Danger High Voltage, Diamond Mine Megaways™, Donuts, Dragon Born, Lucky Streak, Mr. Multiplier, Queen of Riches, Futsal Fortune, Feathered Frenzy, Fruit Cake, Gold, Golden Goals, Haunted House, Joker Jackpot, Extra Chilli Megaways™, Starquest, Temple Of Fortune, Temple Quest, Tumblin ‘Treasures, Vegas Dreams, Viking Quest and White Rabbit. Big Time Gaming owns all major licenses for its games. That includes the gambling jurisdictions of the Isle of Man, Curacao, Malta, Gibraltar, Kahnahawke, the UK Gambling Commission and Alderney. All slots are also tested by eCogra. This ensures that Big Time Gaming slots are used in the fair and unbiased RNGs (random number generators). The slots are also available in 20 different languages and all major currencies. Even for real high rollers some of the slots are interesting. 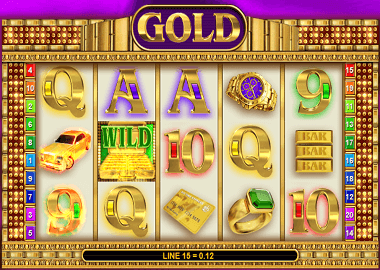 Games such as the Gold Slot allow you to spin the reels up to a maximum of £500! We offer a whole range of free Big Time Gaming slots here. Just visit our Free Slots page. There you will find other high profile software developers like Playn’Go, ELK Studios, Playtech, Netent, Microgaming or underdogs like Yggdrasil. From each company, we offer the best slots for free to play. You do not need to register for this or make a deposit. One famous online casino with BTG slots is the Casimba Casino. There you can also redeem a free Free Spins Bonus. For this you only need to register. Other recommended casinos are the Spinland Casino or the Spinstation Casino. All casinos have a UK license and offer you fair and lucrative welcome bonuses. Register in just a few seconds and play with this advantage. All online casinos we promote are suitable for UK players and have the necessary UK Gambling Commission license. You play under supervised conditions and with fair bonus offers. If you are playing in an online casino for the first time, please read the instructions on “Responsible Gambling in Online Casinos“. If you just want to play for fun, use our Free Slots page. There you will find hundreds of titles of known software manufacturers which you can play without limit. 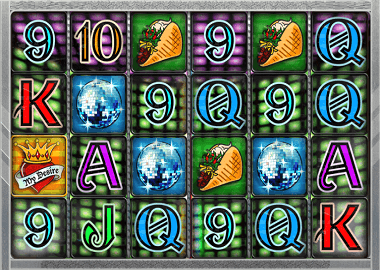 Enjoy these slots and have fun!